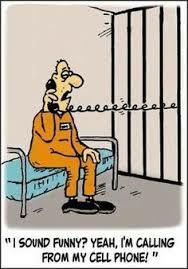 There is a provision in the Prison Manual that allows a prisoner to contact his friends or family through telephone. It is not only a matter of privilege but as a matter of course actually. Its use however is calibrated and should be conducted in the presence of an officer if not recorded. This particular grant remains suspended for a while because of recent scandals. The public should know the intricacies of communal living, much more so, institutional life for them to understand prison service. But there is silence everywhere, hence the media spin. The public in general must realize that the inmate’s family deserves to be informed on the condition of their incarcerated loved ones. If government cannot provide the necessary linkage at least it could facilitate its realization. After all, the law says that it penalizes an offender only through segregation by way of imprisonment but the law does not add that the family should also suffer inconsequently by guessing where their loved one is serving time or should be kept in the dark as to how their loved one is treated. Public perception however is at times gross and they would instantly cry for blood at a moment’s notice. If media jumps on something which is merely an allegation, the public immediately is collectively affected and would issue a negative conclusion. They are also quick to condemn. If the court hands down a verdict, all the more the public are prone to heap smoldering grievances against the offender. If a prisoner wanted to inform a loved one who could not produce fare to visit him, he could contact a friend to relay to his family his condition through a highly censored letter or surreptitiously through the telephone. Unless prison authorities are not treating fairly their ward, they would never allow an inmate to communicate with anyone. Hence, the telephone is the antithesis of fair game. When a person is incarcerated, generally as a result of over indulgence or just an instant response to the need of his family, his first impulse is to communicate with his loved ones. Failing to receive any visitor from them, he gets jittery and always would express a blank face and seemingly at a loss. He must communicate whatever it takes. And so, using means unconventional, even illegal for that matter, he concocts scenarios. These would definitely cause alarms and scandals but it would surely realize their purpose: to be heard, to be seen, to be attended too. The problem lies on malice and unfortunate posturing which authorities are prone to reckon. There are suspicions that when an inmate communicates it is always in the furtherance of crime. That he would allegedly relay plans of breaching security, transact illegal activities, go through the maze of syndicated linkages and get involved in a host of unlawful undertakings. Round-the-clock tempo in the prison community dictates that inmates would rather transact face to face and not through wires. They knew that electronic communications are tapped, recorded and monitored. Besides, if at all they would transact in big amounts, they knew that voices merely could dupe them. They have been through it and probably have conducted the same way before. Hence, they are more cautious than anyone else. Communicating through wires is an imperfect way to conduct a criminal scheme and it is only ideal if the point is merely to listen to the voice of a loved one. This is not a treatise to tolerate inmate wishes. This is just an expression of protecting the piece of humanity that still resides inside the psyche of a convict. If this is denied of him, then better formulate a legislative piece or develop a policy that would also deny him of his humanity completely rather than disrobe his identity slowly until he becomes wilder. If a convict undergoes this painful episode and has become wild, God forbids, once he served his penalty and rejoins the mainstream of free society, he is a heinous animal on prowl. Better, we discard any pretension of being humane and proceed with the reintroduction of death penalty for simple felony up to political offenses. No more prisons. No more criminal justice scandals. That way, people would just be contented with controversies involving foul language in teleserye to unannounced pregnancy of a starlet. Posted on June 11, 2015, in Uncategorized. Bookmark the permalink. 1 Comment. Sadly but true, these sanctions are being implemented right now at CIW. These CHANGES was and is being APPLIED to residents who participated (majority) in the noise barrage committed last month. How come they thought of doing the noisy but peaceful demo? The women bravely did the unthinkable to attract the attention of the Officer In Charge for the deteriorating situation of their house. They do succeeded in their aim… negatively.